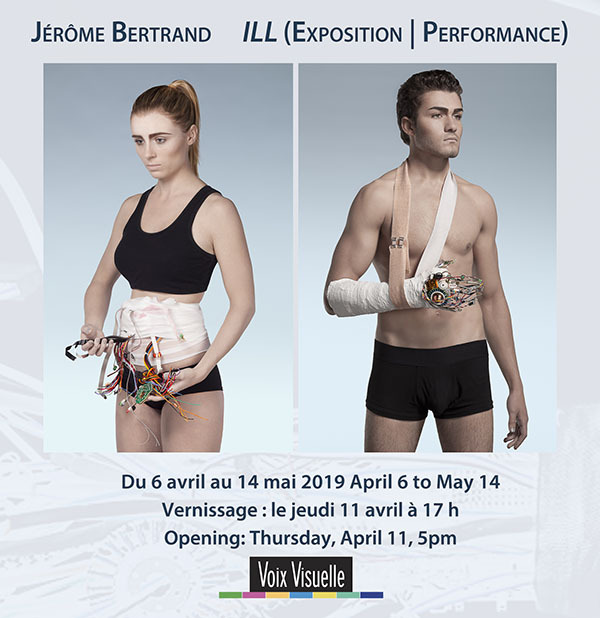 From April 6 until May 14, 2019, the Centre d’artistes Voix Visuelle is presenting ILL, an exhibition by Jérôme Bertrand, who will also be offering a performance on the night of the opening. The transhumanist movement from the 1980s inspired this photographic series which addresses the cult of technology and the myth of human improvement. On the photos, technological implants treat individuals depicted in empty, unemotional space. The artist gives us an insight on his vision of tomorrow’s man, a superman for whom seeking performance allows him to come in contact with technological device, and who could be, potentially, eternally broken.